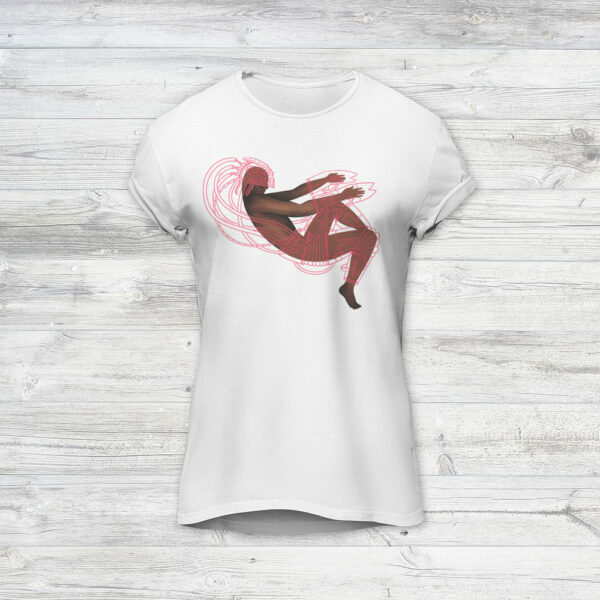 Women’s T-shirt 180G, white, slim fit, “VR Man” graphic. All shirts are printed with love and eco-friendly, non toxic ink. Keeps you and the environment safer!